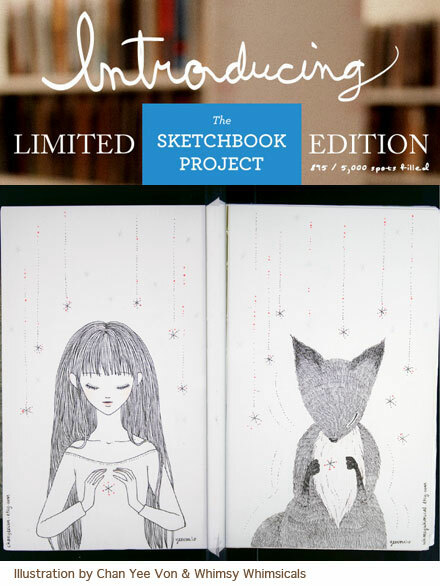 Art House Co-op just launched the Sketchbook Project Limited Edition Vol. 1 last week, and this time, the project is open to just 5,000 participating artists! Every contributor to the Limited Edition Vol. 1 will be included in a series of art books documenting the project to be published in the fall of 2012; and not only that — each sketchbook will also be exhibited at the Brooklyn Art Library. Together, the book series will provide insight into the imagination and process of each artist participating in the project and present an interpretive portrait of the Sketchbook Project community. Art House has offered Pikaland readers a 15% discount coupon when you join the Sketchbook Project Limited Edition Vol. 1 – just enter PIKALAND5000 at checkout! I love adventure games of the 1990s (point and click anyone?) and I’m constantly finding new games that are also based on creativity. Other players will have to pick a card as well to add to the mix, based on the story told by you (this is to confuse other players while they figure out which one is the real card later!). After the rest of the players have picked out their card, it generates the cards that they have chosen (a max of 6 players = 6 cards). Voting begins and the person who picks out the original card is the winner! 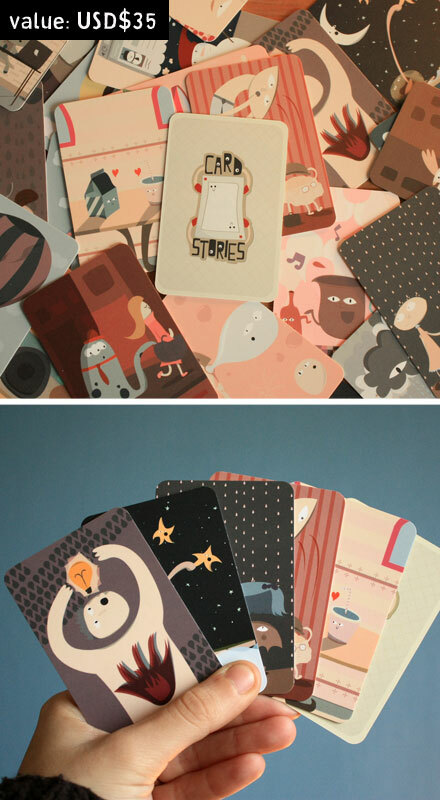 To celebrate the soft launch of Card Stories, Deborah is giving away physical copies of the cards to 2 selected participants! 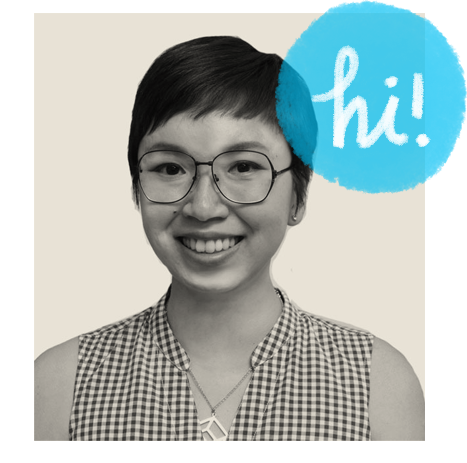 All you need to do is to craft up a story (think of it as an illustration brief!) so that Deborah can illustrate it into a card. 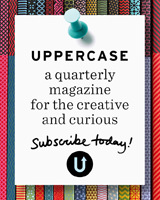 The best story will win a pack of 36 cards + the one you helped create! This contest ends on 29th November 2011, so write down your idea for a card in the comments below! Hint: Short stories are best! Head over to Card Stories to play a round and test it out for yourself! The contest has ended and the winners have been picked – Kirsty and Zack! 🙂 Thanks everyone for joining in the contest! I like predictability. A lot. I think it has to do with having a father who was very prompt (to the minute!) and who is a master at organizing tasks at home and work. So I like to plan too, and while I’m flexible to accomodate last minute changes, I find comfort in things that run like clockwork. But the past few months have been crazy, to say the least. I was travelling almost every week! In between work, to going out of town for a weekend with out of town friends; from weddings to a family holiday (our last one was in 2007!) – the list seemed endless. But here’s the thing. I learned that in between all this mad rushing about, my mind was fresher than ever. It probably had to do with me being caught off guard in situations where time management was crucial, so my brain was always spinning! 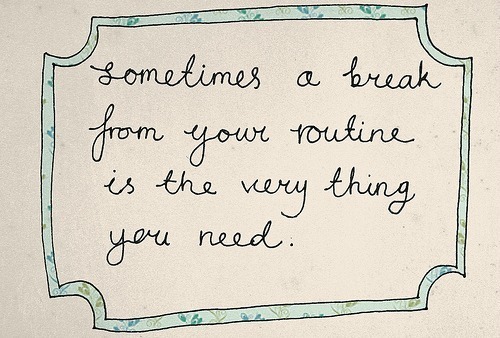 This break from my normal routine made me flexible enough to accomodate surprises, and it also made me plan ahead. Way, way ahead. Because of this break in my routine, I noticed that I find inspirations in the most unlikely of situations. I have been sketching profusely and inking down thoughts and ideas for next year (already with a to-do list to boot) – and it’s all because I was forced out of my comfort zone. Random walking trips turned into power walks, where everything I saw connected with things inside my mind that I was struggling to understand. A walk through an old bookstore yielded new ideas for patterns and illustrations. A chat with a friend turned into an internal brainstorming pow-wow session that cleared the fog that had lingered in my mind for too long. The list goes on and on. So take a break from the norm and challenge yourself – deviate away from the daily patterns and path you know so well once in a while. You might just be pleasantly surprised at where you’ll end up at.